ThePerfectRide HandGuards fit the GL1800/1500/F6B. 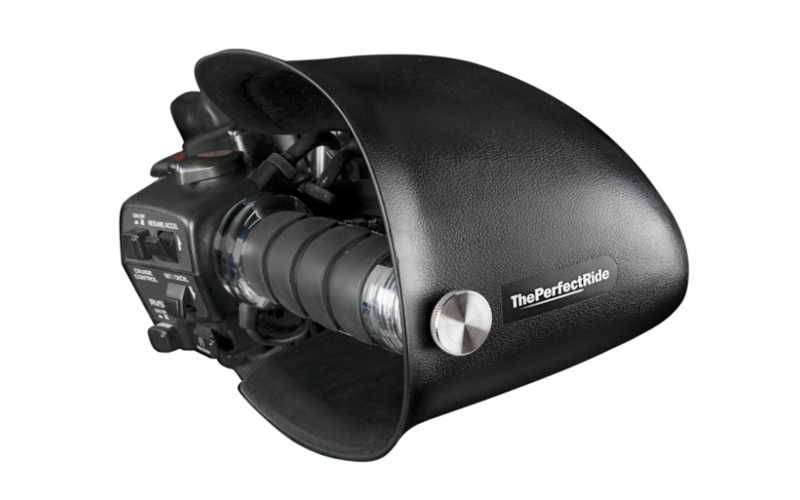 ThePerfectRide HandGuards are made to fit the GL1800/1500/F6B. These are the most protective available and the best quality we’ve seen. Partial wind deflection’ is better than nothing of course, but with deflectors rain/wind still hits the hands. Not so with HandGuards. Attachment is as ‘OEM’ as it gets. The finest 316 stainless bolts simply replace Honda’s own on the handlebars. HandGuards are made of UV-resistant ABS – Honda’s bodywork is also ABS. They’re not cheap, because they’re not cheap. HelmetPosts (normally $25) are included at no extra charge and are useful several times a day – even if HandGuards are off the bike for a while. Hard-over steering lock tested fine. Cruise control is unaffected: Worth mentioning because certain fabric hand protectors cancel cruise control by hitting the levers in wind. Cruise control means using only hard hand protection. These fit on the front of the bike near the dash inside the fairing at the end of the handlebars.